We’ve all been there. No matter how well we eat or how much we exercise, sometimes we find ourselves inexplicably bloated. Blame it on lack of sleep, hormones or food intolerances, but bloating (also known as water retention and edema) can be uncomfortable, unsightly and ruin our confidence. Thankfully, we are not alone — even super-trim fitness models suffer the same puffy fate as the rest of us. Promoting transparency and self-acceptance, fitness bloggers are taking to their social media channels to show that their flawless photos are only one side of the story. 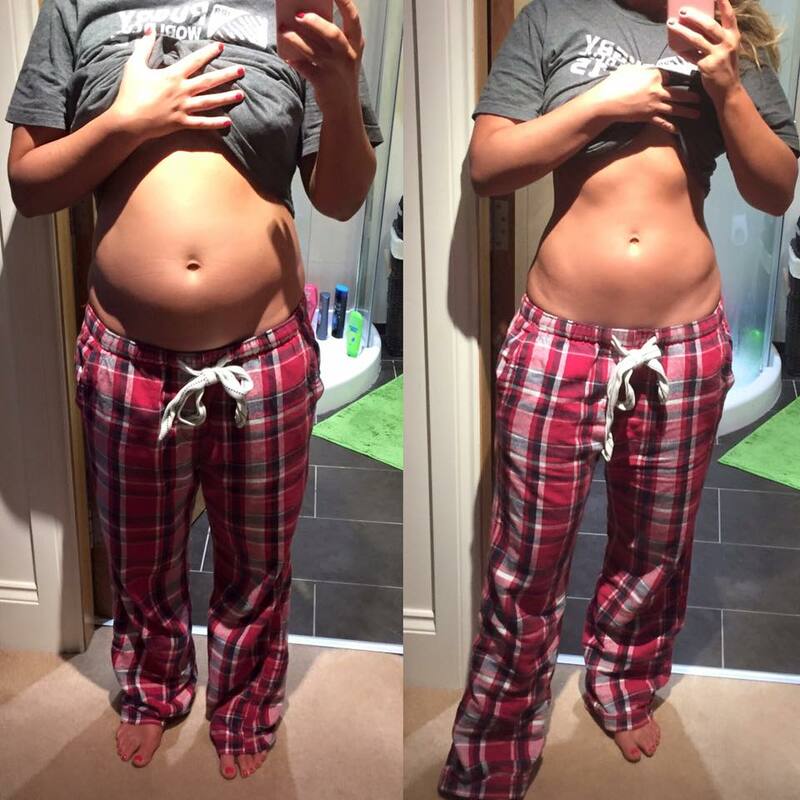 “We are not all what we seem on social media,” writes Tiffany Brien, a U.K.-based fitness blogger, who she shared two side-by-side photos of her belly on Instagram — one flat and one dramatically less so, taken 12 hours apart to show how bloating affects her flawless figure. And she’s not the only one, either. Fitness model and blogger Maeve Madden suffers from bloat regularly, and reminds her social media following that her model photos are not what she always looks like in real life. “I am careful about what I eat but sometimes we all like to indulge. Its a constant battle to beat the bloat,” says the stunning model. Then there’s Emily Skye, an Australian fitness and bikini model, who posted a video on Instagram showing her fans how she can severely bloat after eating something that upsets her stomach. “I wanted to show what happens when I eat foods that aren’t my steamed veggies and chicken and fish and salad. This happens,” she said in the video. So the next time you’re feeling bloated, remember that nobody is “perfect,” not even fitness bloggers and models, and that bloat happens to the best of us. Remember, a bloated belly is not fat. Instead of stressing or over-exercising (which can exacerbate the issue further), get lots of sleep, drink peppermint tea, choose de-bloating foods and practice some relaxation techniques. We promise you’ll feel better in no time.